Building and designing your new home is an exciting experience, you can have exactly what you want in your new house. So have you thought about including the ultimate walk in wardrobe in your building plans? 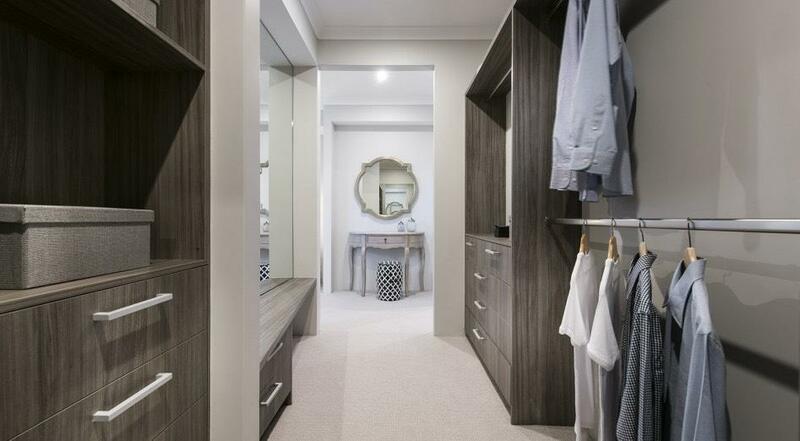 Walk-in wardrobes are what dreams are made of. Its every woman’s dream have the perfect wardrobe but there are things to consider when it comes to the designing process. No matter the space or budget you’re working with, organisation is the secret ingredient to any wardrobe. However, how you plan your wardrobe will depend on the type of wardrobe layout you have to work with. Walk-in wardrobes usually follow the same basic layout shapes, most common being; U shaped, G Shaped and Walk-through. The size of you wardrobe will ultimately depend on the value you place on the space. For those who consider this part of the room significantly important ensure your designs allow you to get the most out your new wardrobe. Ensure you have enough space for the robe itself without impacting on the proportions of the bedroom. You may need to sacrifice other features of the bedroom to get the wardrobe you want. Organisation is the key to a fully functional and useful wardrobe. Its important to not only consider the usual suspects of clothes and shoes, but the organisation of odd-shaped accessories such as bags, scarves, jewelery and belts. Clothing items come in different shapes and sizes, opting for shelves that are adjustable in height will make storage a breeze. If you are going for less cupboard space but have high walls, adjustable rods are a great idea. This ensures you are getting the most out of the entire wardrobe space. Consider installing some shelving space under shirt hanging space, too, for even more versatility. If you plan on having drawers in your wardrobe, consider segmenting a few of them. This creates a super organised way of storing your socks, stockings, ties etc. If your walk-in is going to be on the smaller side, boost your storage space by including retractable wardrobe accessories. These allow you to easily pull things out when use is needed (and push them away when not), thus ensuring more space to move around. Trouser racks are on the same premise as the retractable hangers for your accessories. Fewer hangers means less mess and ensure these low hanging items are easily accessible. Extended storage spaces are on trend at the moment, consider using the whole height (floor to ceiling) of your walk-in as it presents really well and is purposeful. All the way from the floor, right up to the ceiling. When choosing doors for your new wardrobe (if you are having any) think about how it will impact the use of the surrounding space. For a clean and neat look we suggest using sliding doors. 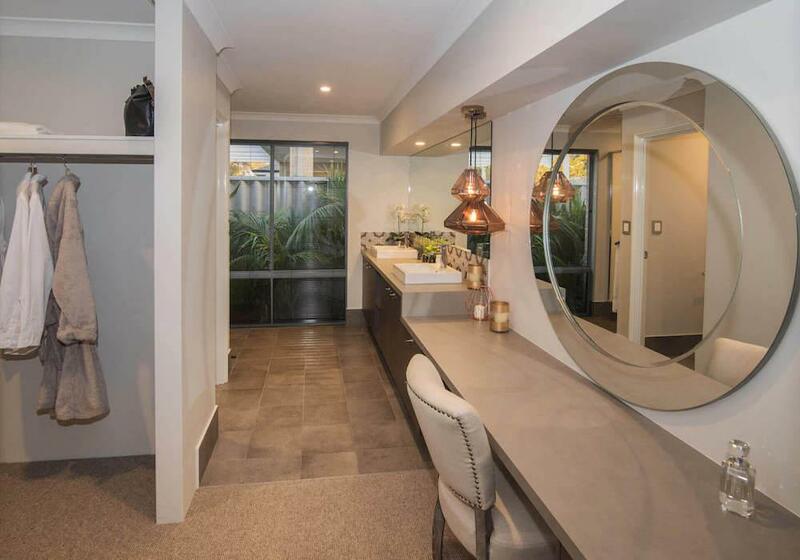 Depending on size, you might want to include a dressing table, mirror and chair (ottoman is a must in putting on and taking off shoes) in your wardrobe. If you will be using this space as dressing room lighting will be an important aspect of design. Consider selecting brighter lights if there is no natural light available. Finally, finish off you perfect walk-in robe by ensuring all hangers are the same. This will make your small walk-in wardrobe instantly look neater and less cluttered.